The Sacred Valley is lower elevation than the altiplano and so warm and the air so thick and full of oxygen! We saved Cuzco for last because we had cashed in some old hotel points for a swanky weekend out of the van in Urubamba. 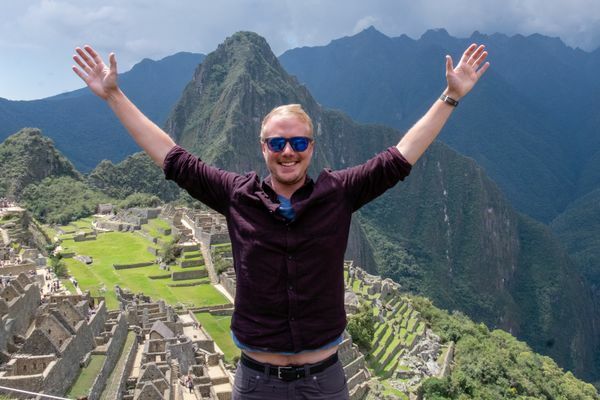 We got upgraded to a suite and had fun basking in our shower bigger than our van, our private terrace, the sauna, and the pool. 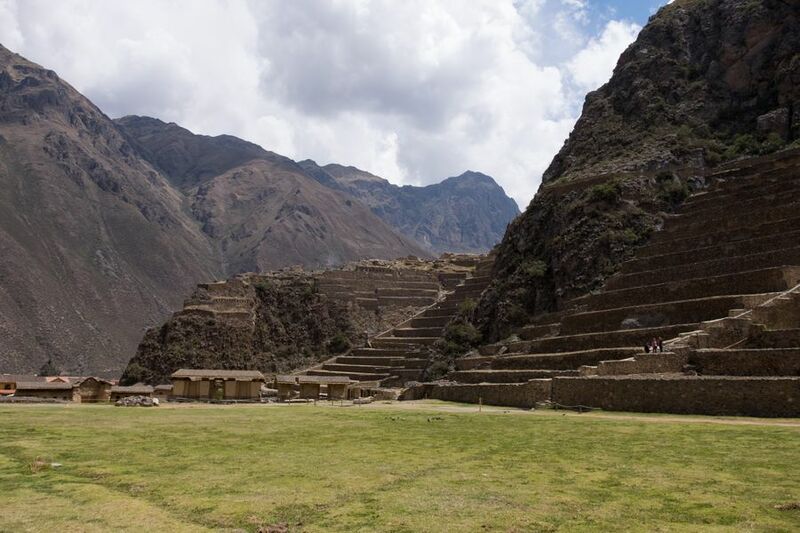 We definitely felt a bit out of place, rolling in as dirtbags that hadnâ€™t showered in days. 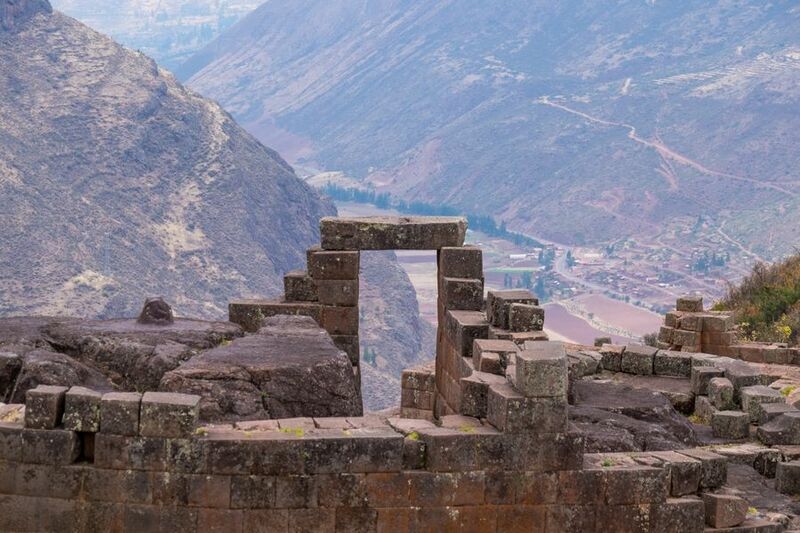 After a few days of resting our bones and pretending that we belonged among those people, we moved on to the main attractions of the Sacred Valley. 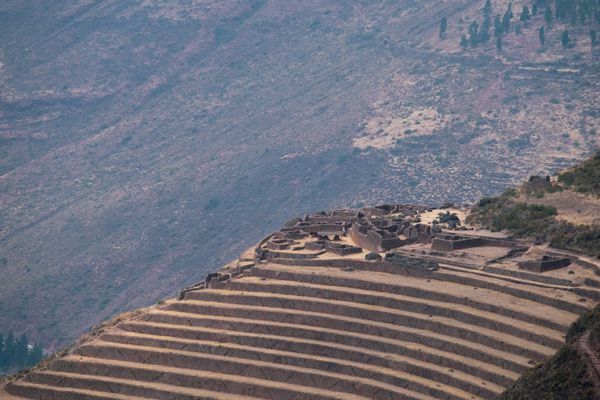 Before we rolled into Urubamba we bought our 10-day boleto turÃ­stico and enjoyed an early morning walk from the top of the ruins at Pisac all the way down to the town. 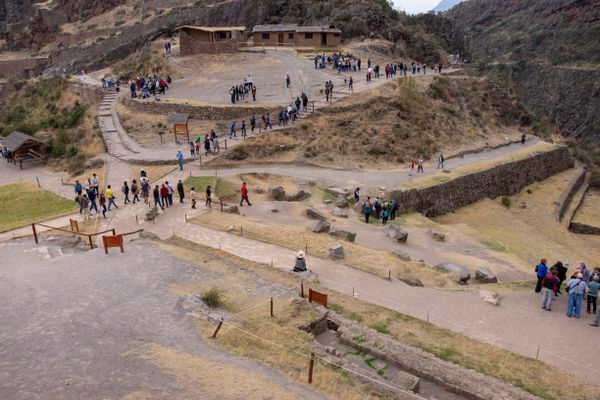 We were told by some friends that it wasnâ€™t very interesting, but we found it incredible if you follow the trail all the way down to the bottom through the various villages and ceremonial centers that made up this strange agricultural center. Once you get past the top level youâ€™re alone as all the folks on packaged bus tours only have time to make a loop of the top before they get back on the bus to see the other 5 archaeological sites that day. 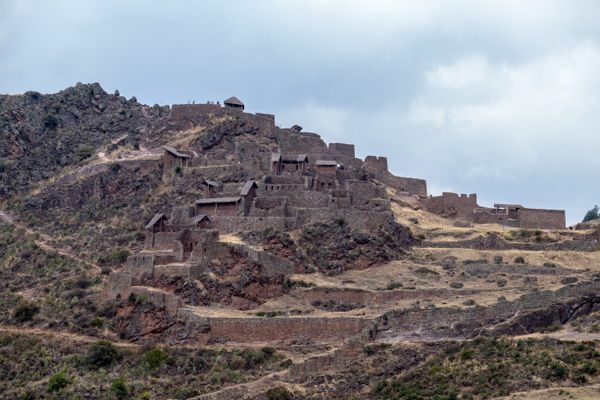 One of the joys of overlanding and having our own wheels is being able to take time and see things at our own speed â€“ which meant we could take 2-3 hours to explore Pisac instead of just 30 minutes. 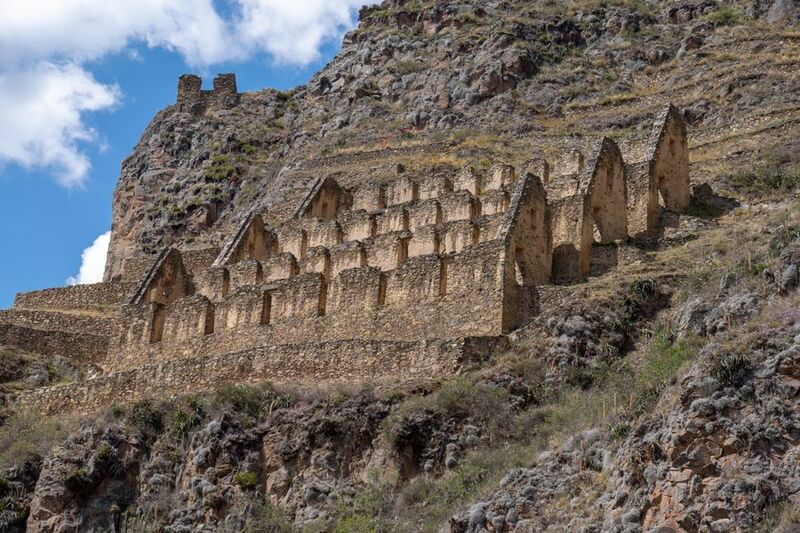 Ollantaytambo is beautiful! 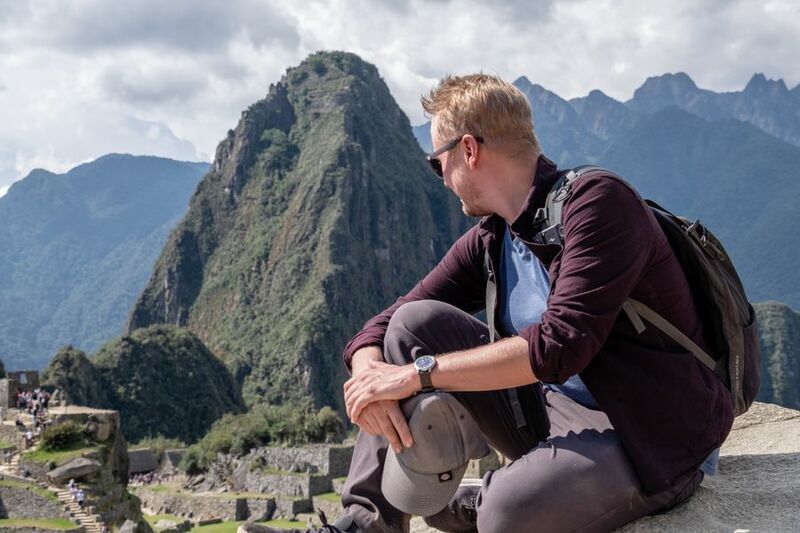 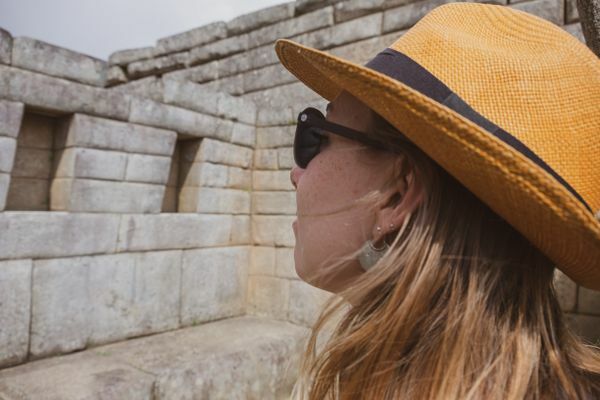 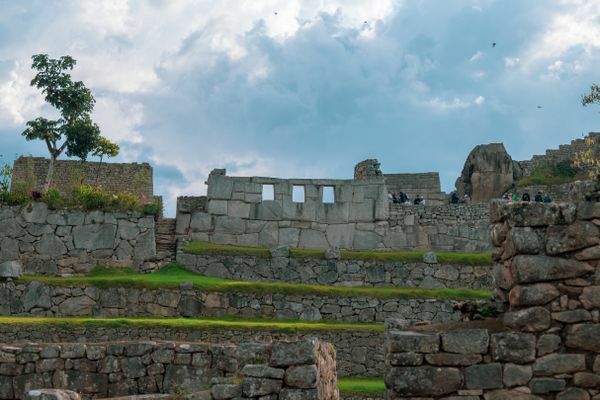 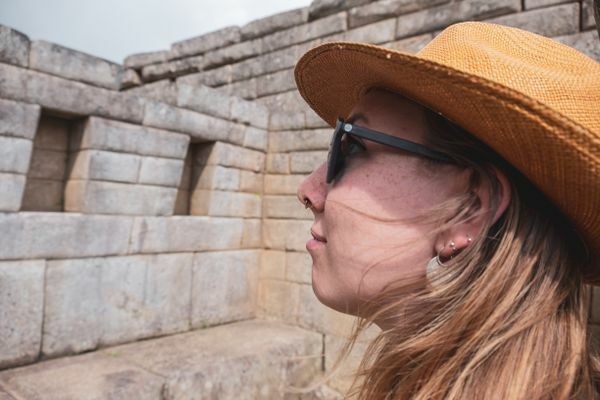 Itâ€™s one of the few towns you can visit that was built by the Incas and still inhabited, so you wander around the older part of the town, weaving through clever canals and big beautiful stone walls. 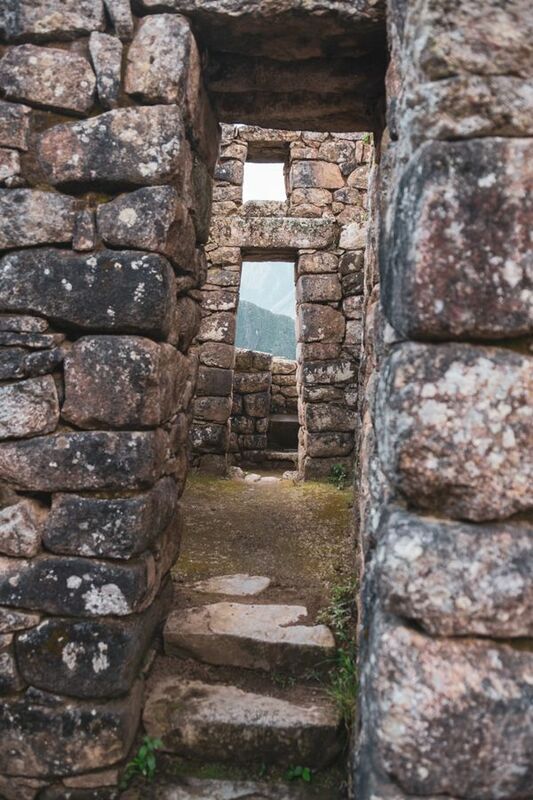 And then you climb up to the storehouses on the other mountain side â€“ grain and supplies were stored by dumping them into the higher entrances, then they would open a door on the bottom and let gravity do the rest. 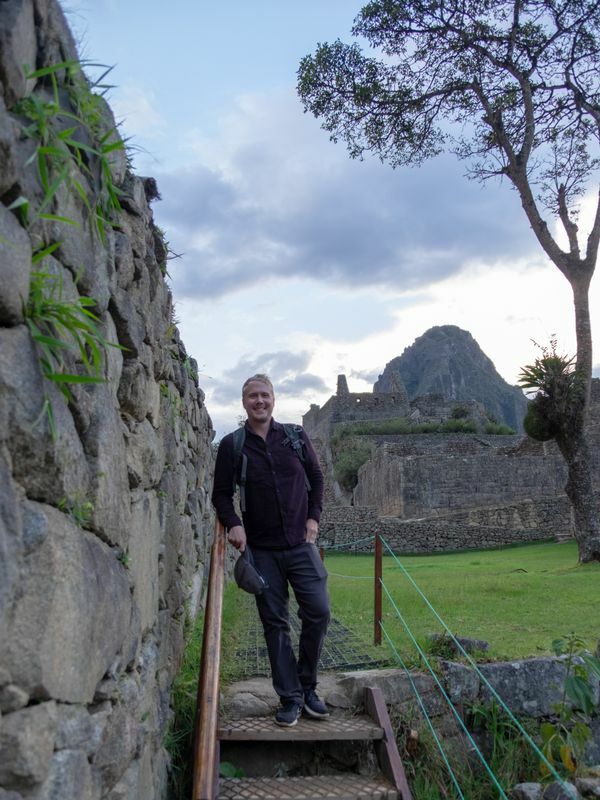 We had been in Ollantaytambo for a few days and were ready to go visit Machu Picchu with the van when we got word of a coca growers roadblock on the way to HidroelÃ©ctrica (the closest to Machu Picchu you can drive â€“ itâ€™s then a 2 hour hike along one of the â€˜Inca trailsâ€™ to Aguas Calientes). 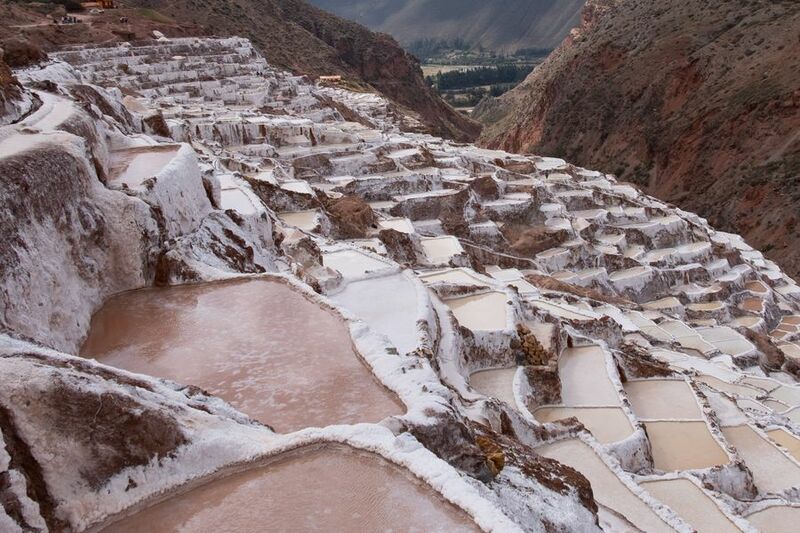 So no driving for us â€“ we bought some expensive train tickets instead. 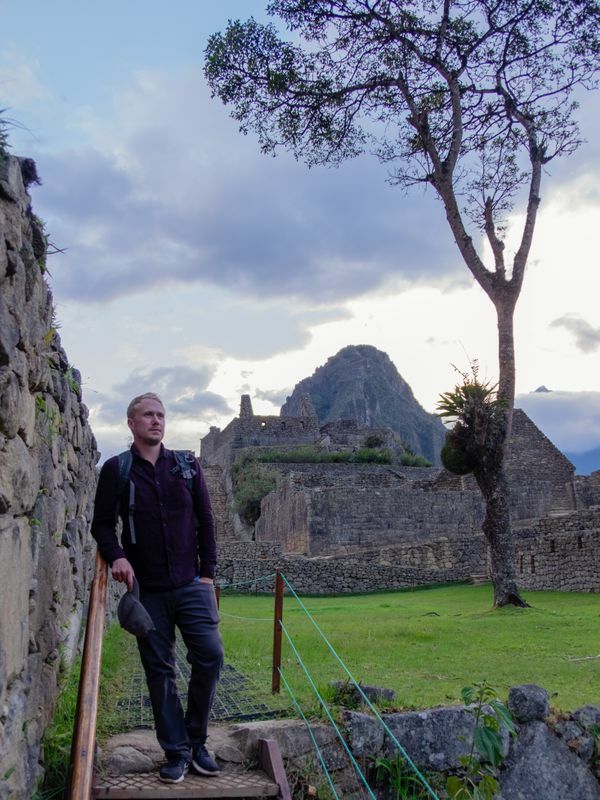 The night before, Ryan ate something he shouldnâ€™t have. 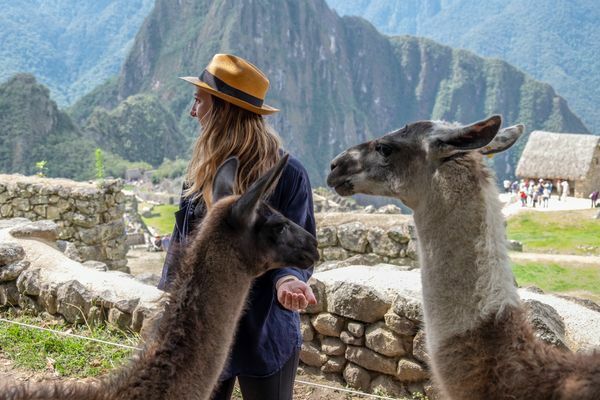 A word of advice: donâ€™t order an off-menu alpaca burger from a restaurant that is seemingly staffed by children. 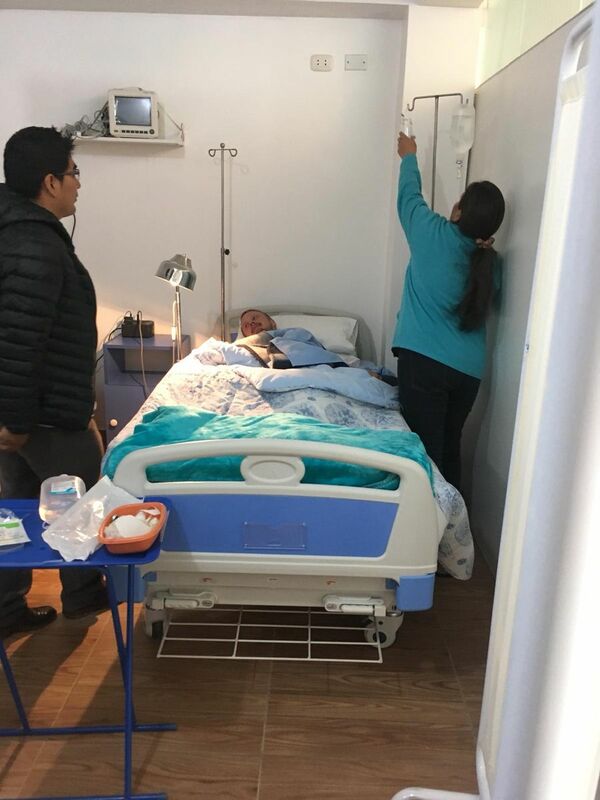 A quick call to our insurance company World Nomads made it clear they would only reimburse canceled travel plans if he sought medical treatment, so to the travel clinic we went! Dr: When is your train? Dr: OK! No problem, we can get you on your train! 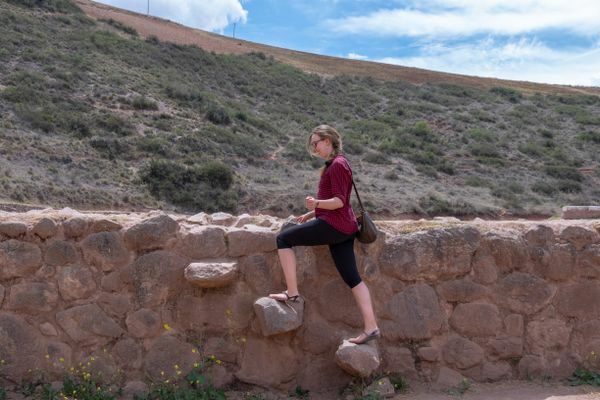 Ryan: Hell no! 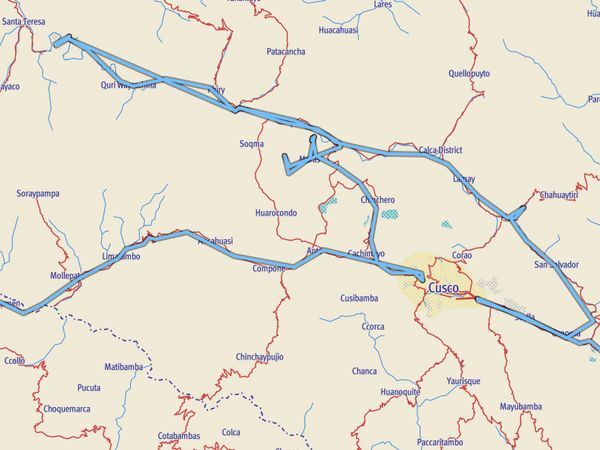 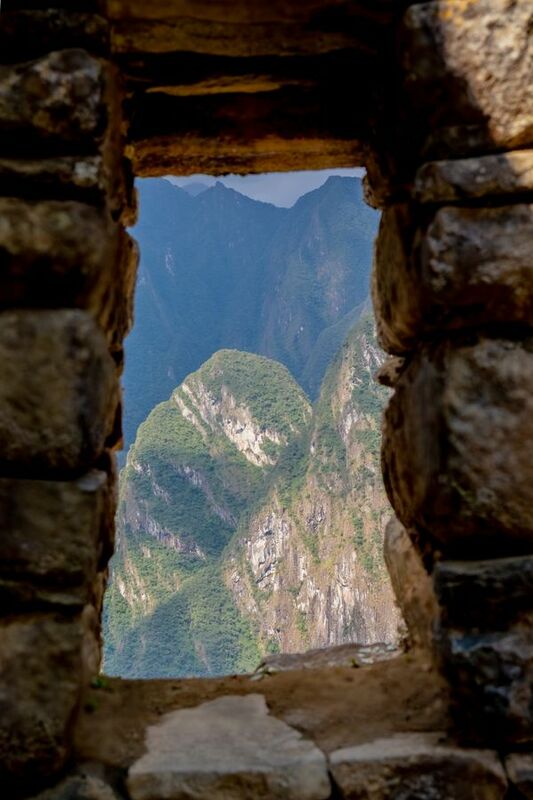 I feel like the train has already come and run me over â€“ there is no way weâ€™re going to hike around Machu Picchu today. 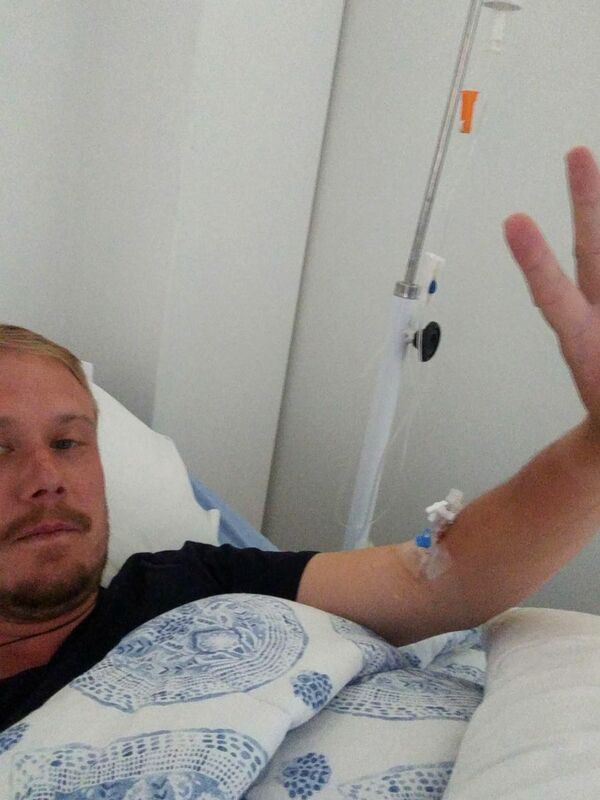 Dr: OK! OK! 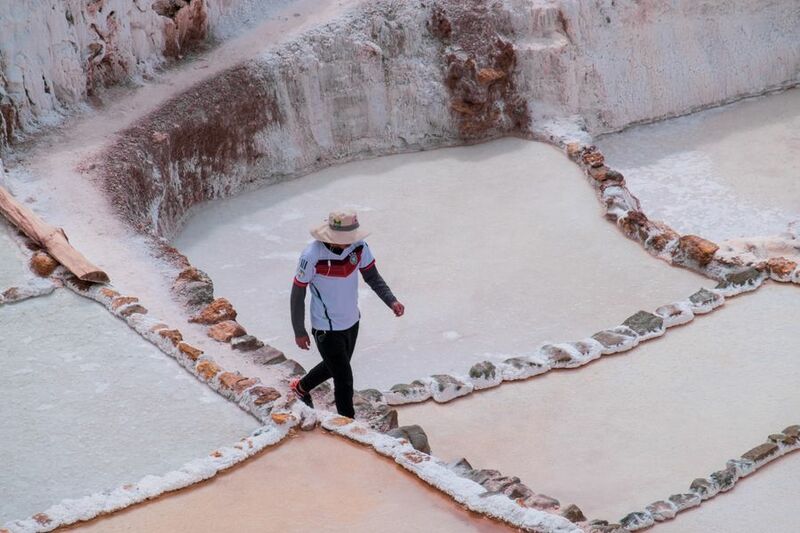 then letâ€™s do this the right way thenâ€¦ youâ€™ll stay here for another 6 hours. Ryan: â€¦ What black magic were you trying to pull earlier? 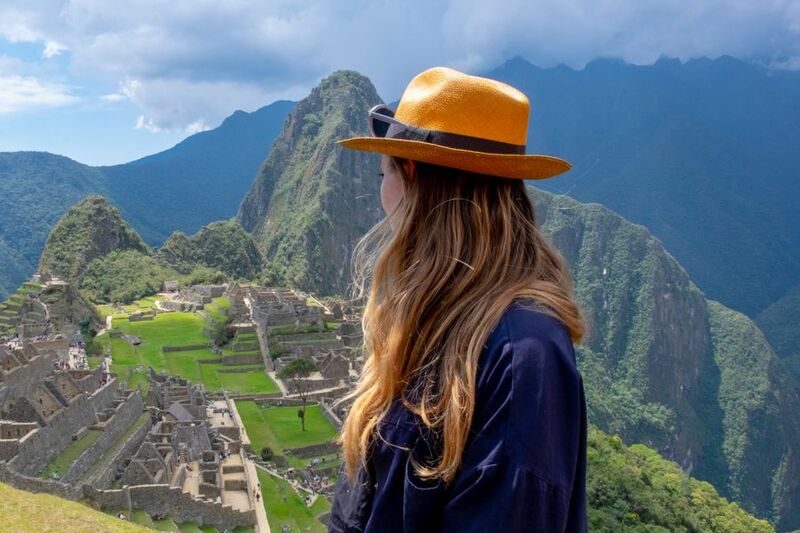 Eventually, by begging and pleading, we were able to get our train tickets rebooked, our Machu Picchu tickets moved, and finally saw this lost nirvana in comfort, style, and with healthy bellies. 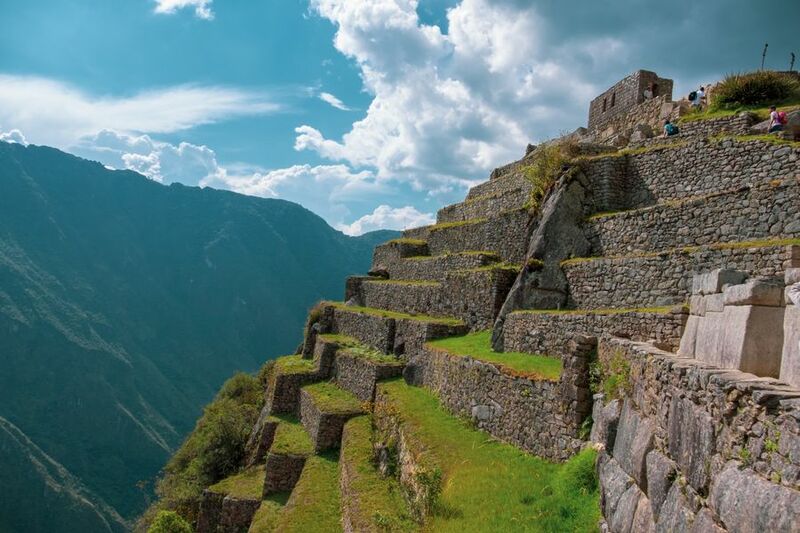 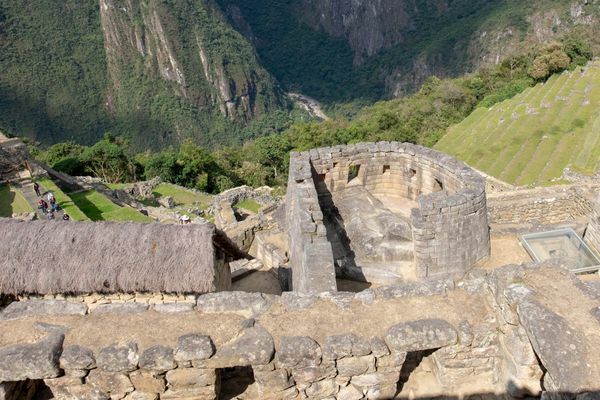 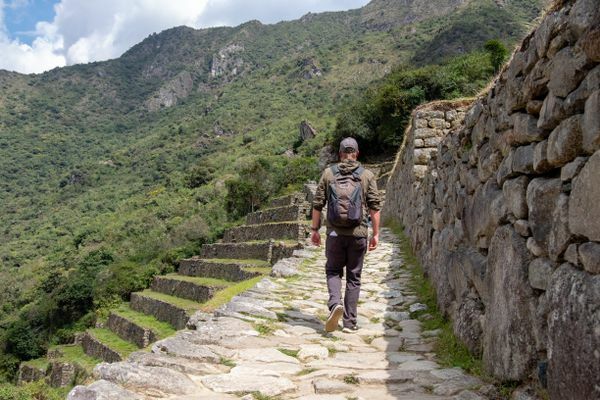 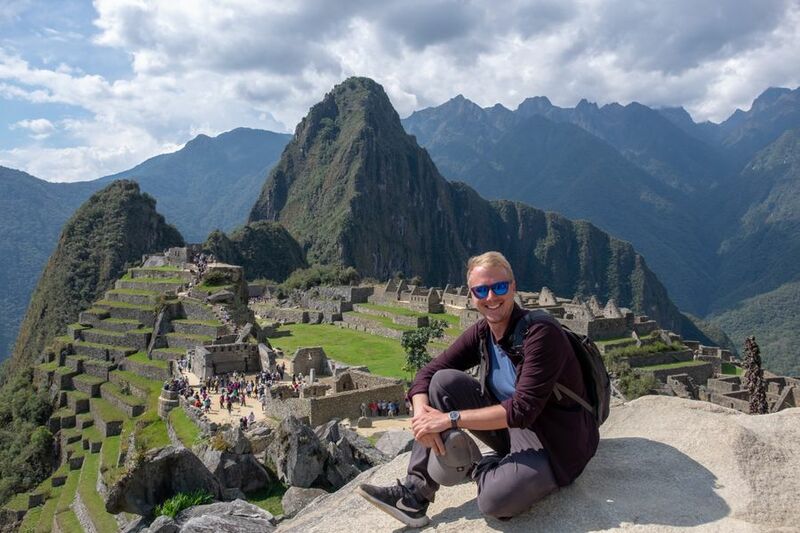 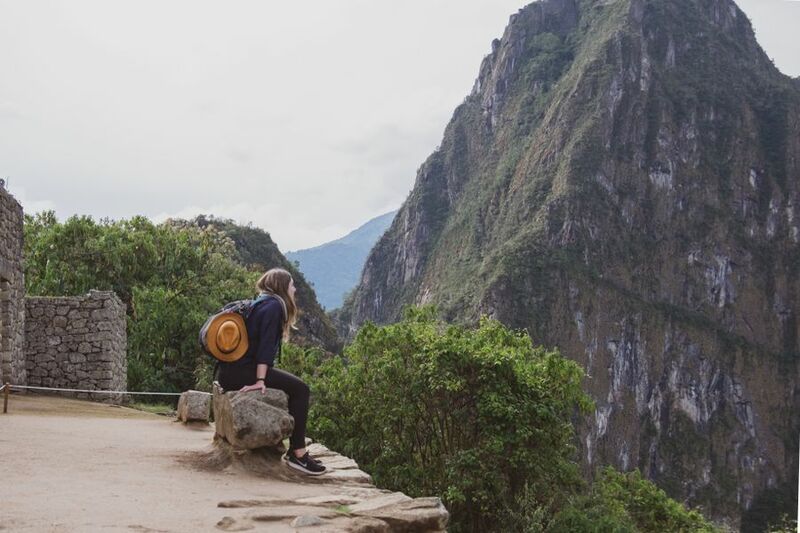 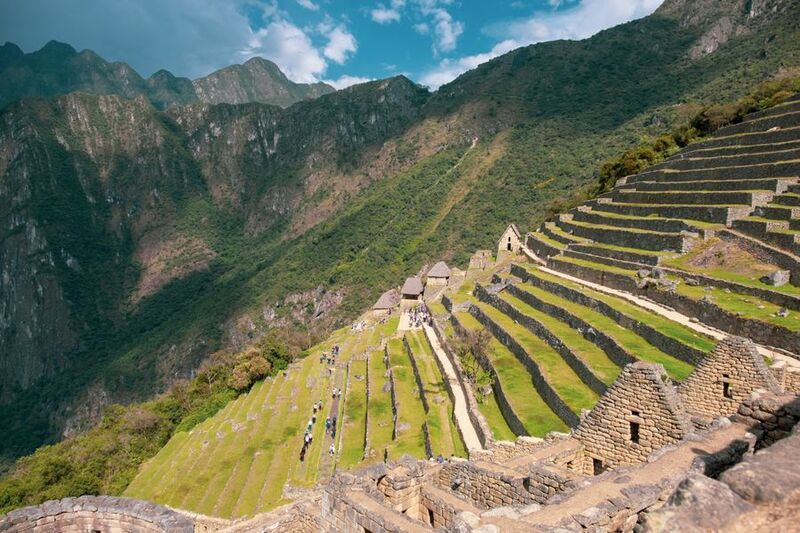 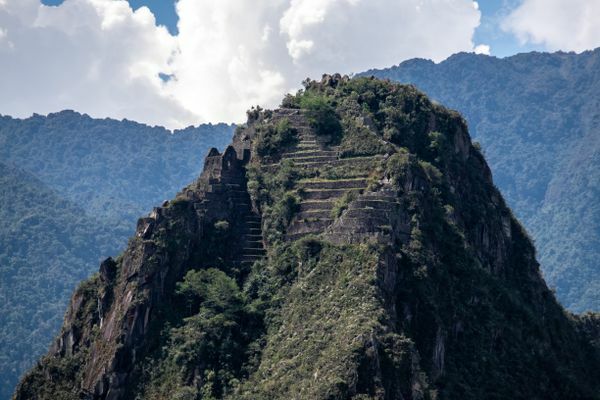 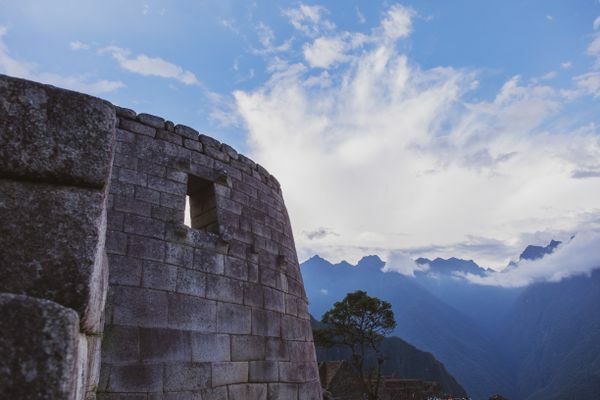 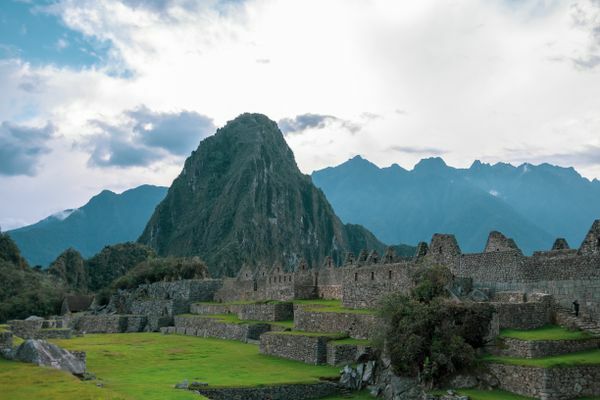 The Incan empire built 23,000 kilometers of roads â€“ thatâ€™s what you hike in on when you do the expensive multiday treks to Machu Picchu. Toys and other artifacts found indicate that the Incan civilization and others nearby understood the concept of the wheel, but they just didnâ€™t use it for large scale transport â€“ probably because they didnâ€™t have big beasts of burden like oxen or horses, just llamas and alpacas, and the terrain is very mountainous and would be difficult for wheels, but easy for small pack animals. 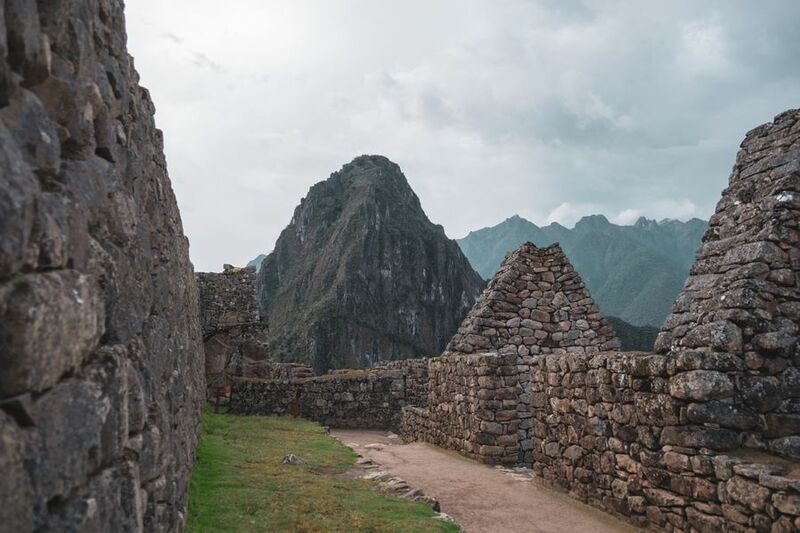 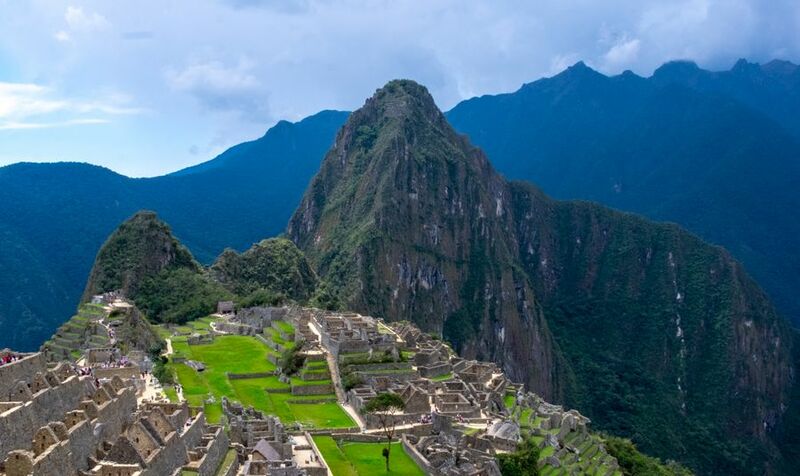 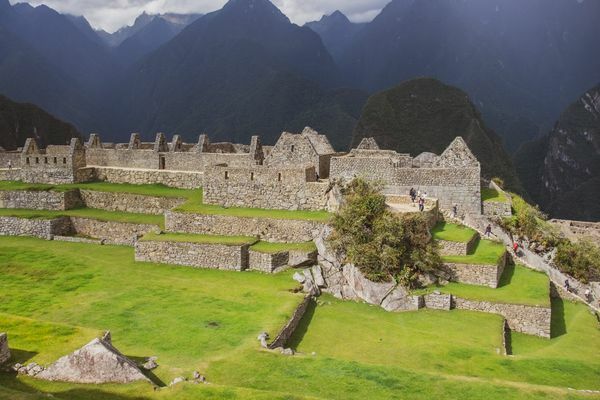 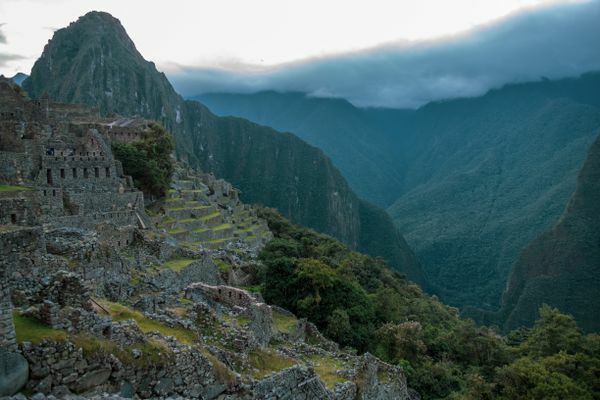 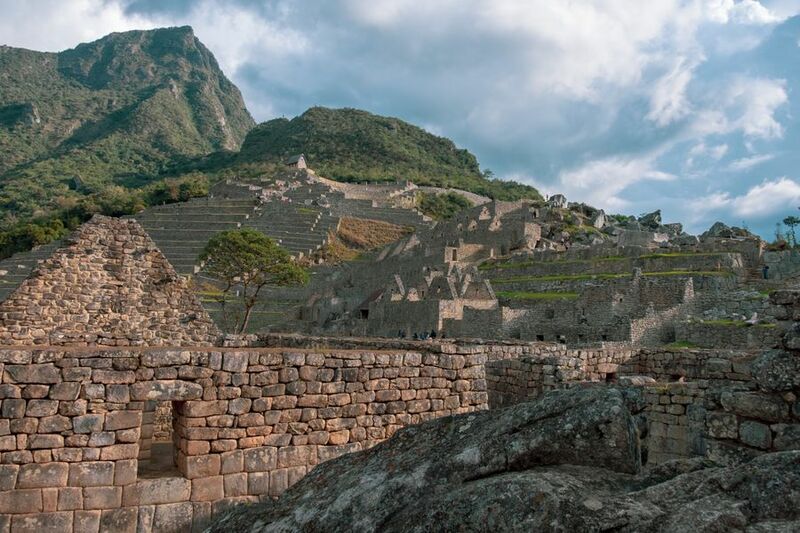 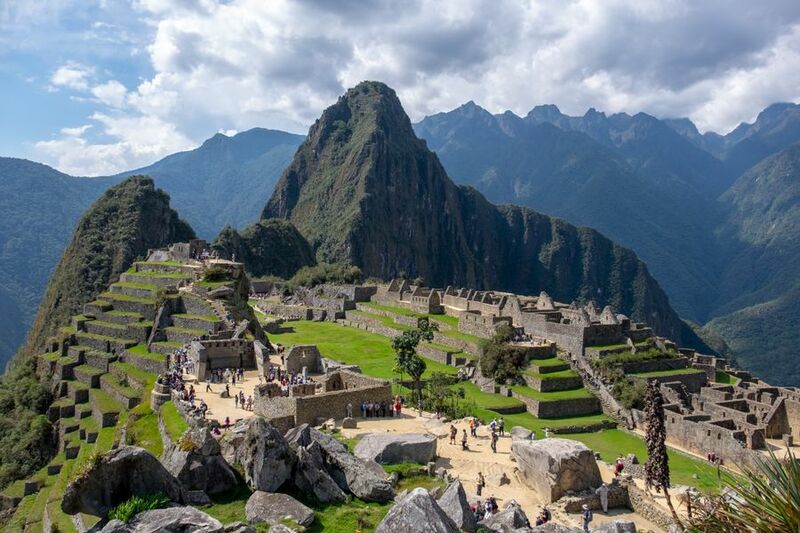 Machu Picchu was one of the last big centers built by the Incan empire â€“ the empire sort of crumbled on its own a bit before the Spanish arrived and dealt the final blow. 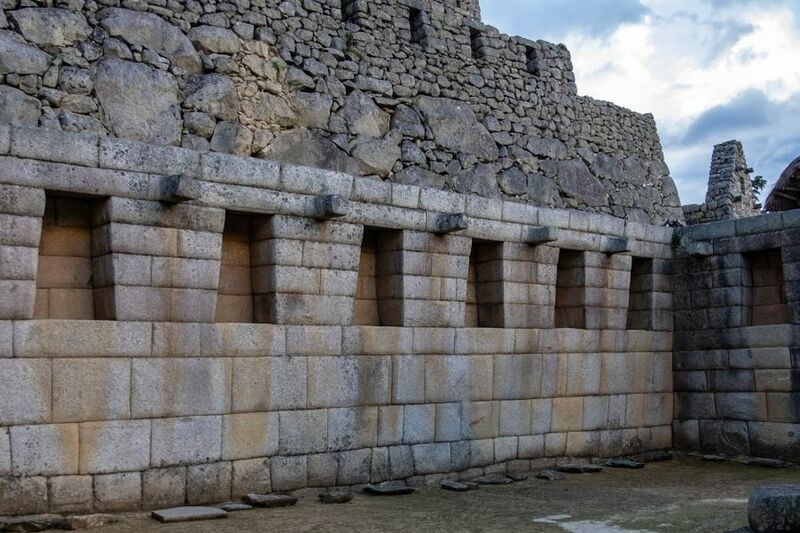 These big beautiful perfectly aligned stones in the walls and buildings were formed using bronze hammers and hard stones like hematite & quartzite â€“ clay molds of neighboring stone blocks were used to get a precise fit. 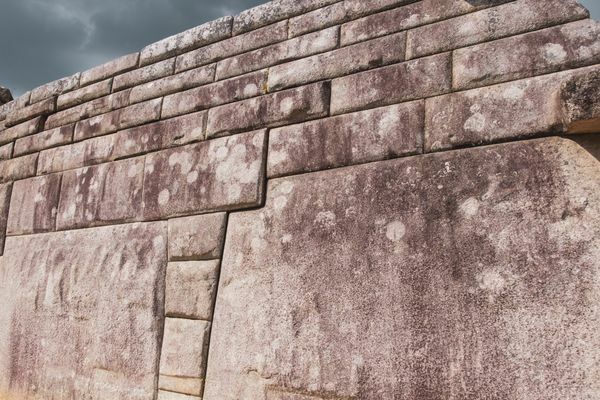 Then they were polished with granite sand and so much elbow grease. 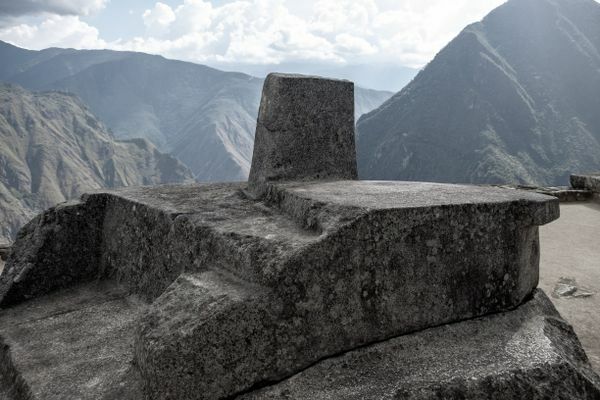 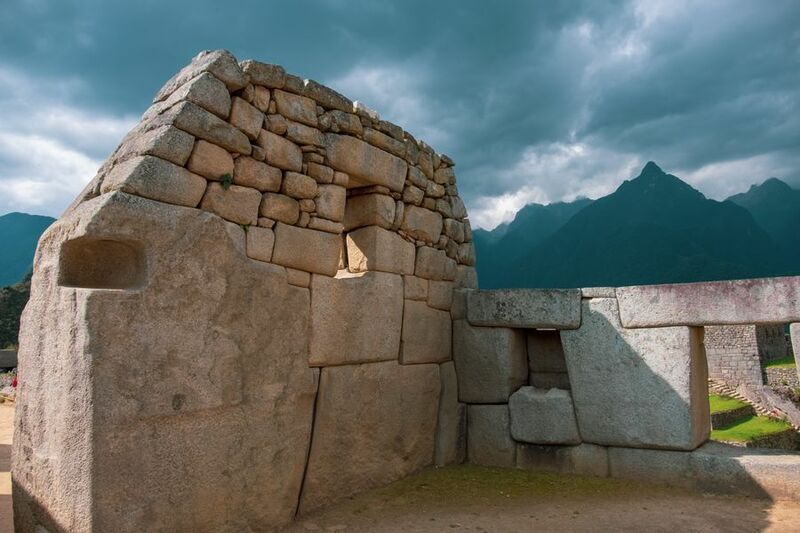 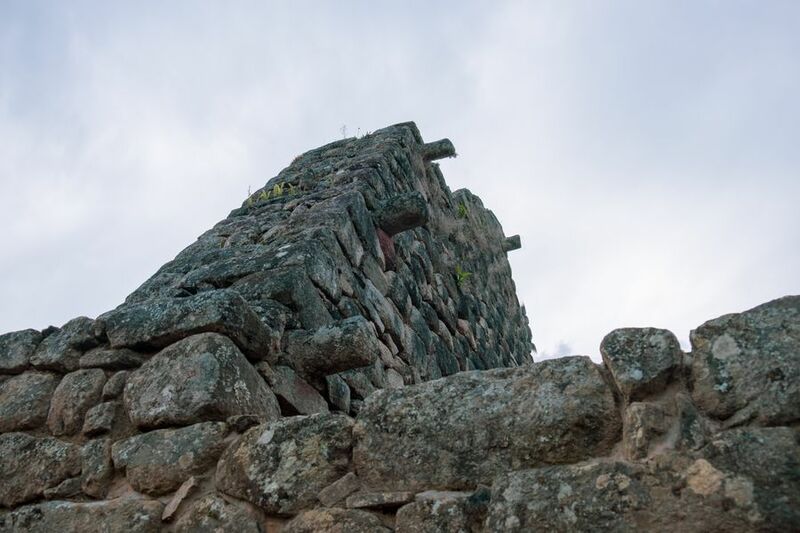 The large stones were probably moved on wooden rollers â€“ itâ€™s estimated based on contemporary experiments that it would take 15 people to move a one ton stone (some of the stones at SacsayhuamÃ¡n, near Cusco, are stones over 125 tons, and estimates put the largest stones at Machu Picchu at 20 to 50 tons each). 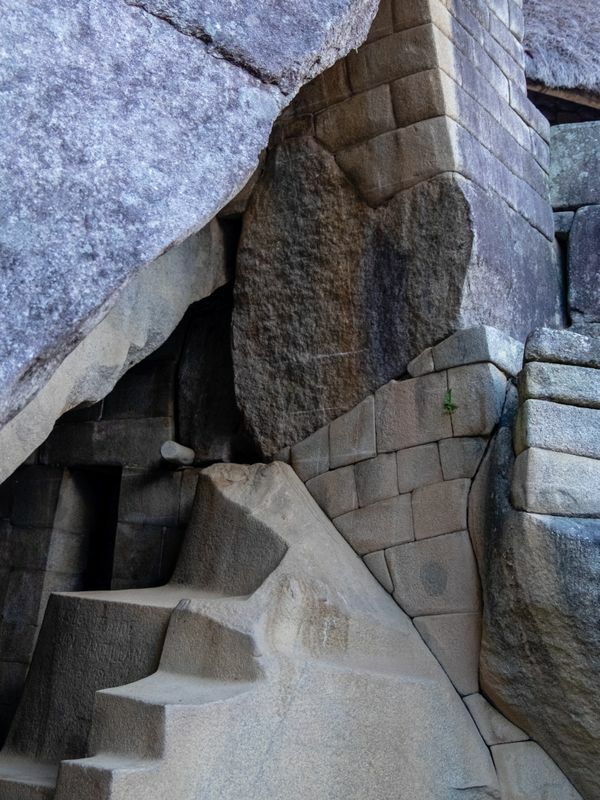 Thankfully, there was a quarry on site at Machu Picchu so many did not have to be moved very far. The Incan empire is not all in ruins! 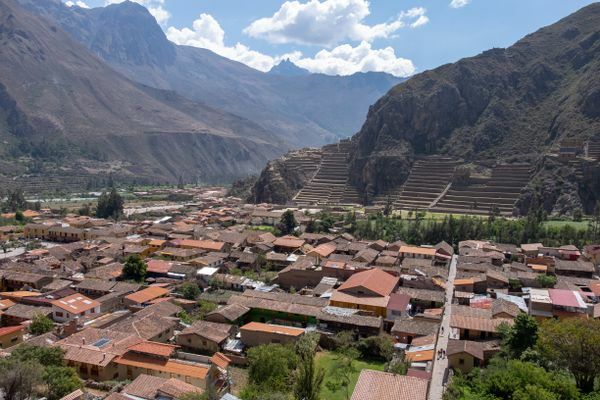 A lot of pre-Columbian (aka, pre-Colonial, aka, pre-Spanish) traditions are maintained by the indigenous communities of the Andes. 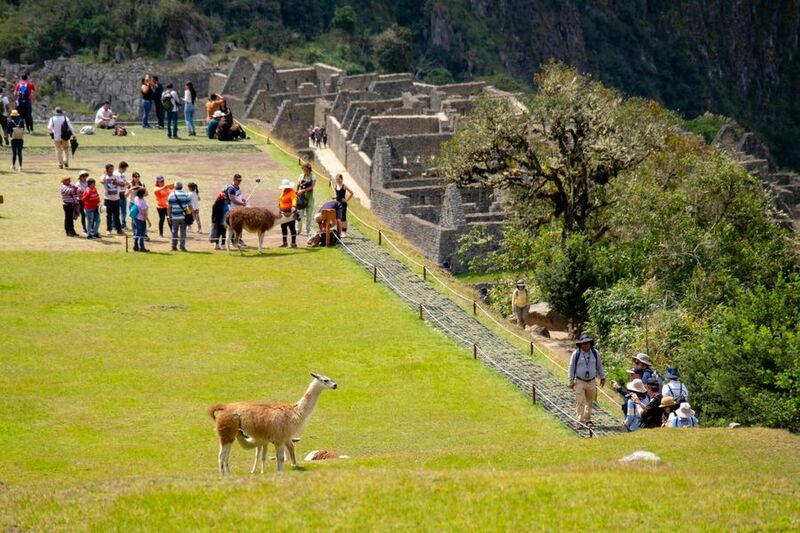 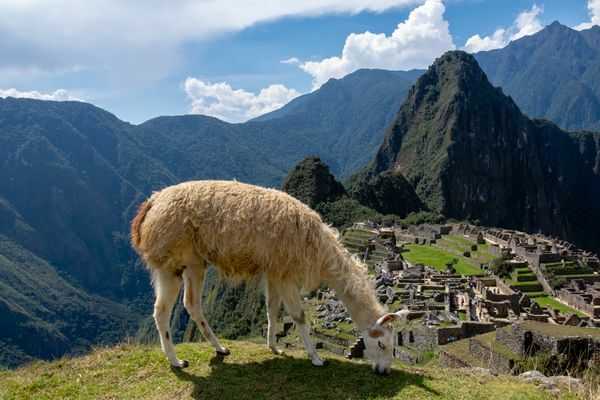 They still speak primarily Quechua, and still farm on traditional terraces that were built hundreds of years ago, and still maintain llamas, alpaca, and cuy (guinea pig). Ok back to the photos. 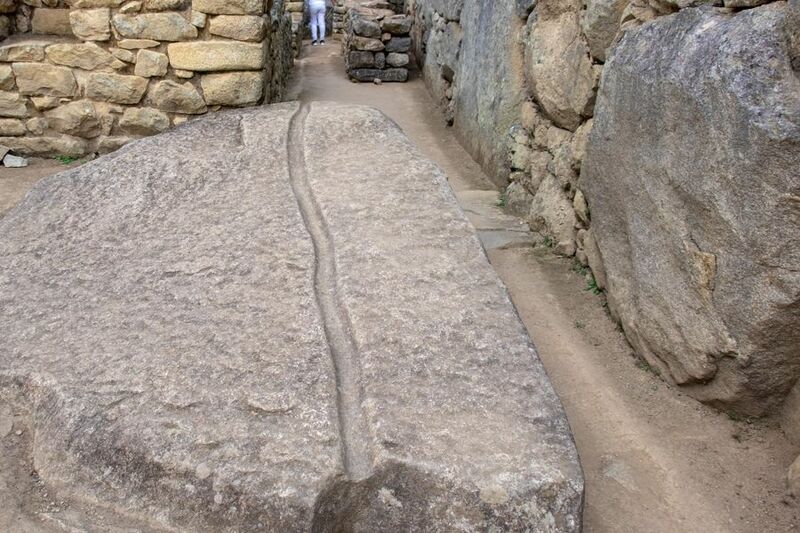 Remember, this did all this without machines. Just rocks against rocks. 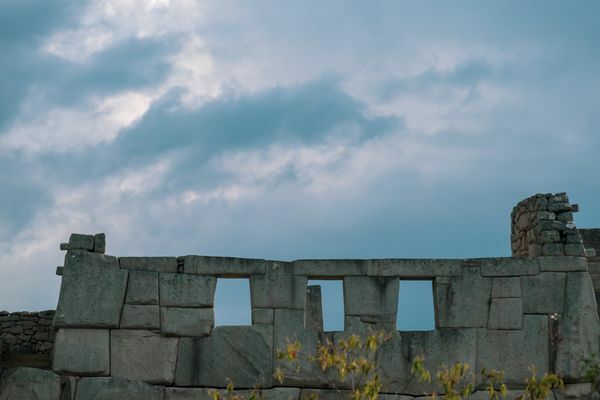 They even had second stories! After Machu Picchu, we still had a ton of other locations to visit that were included in our boleto turÃ­stico, so we spent a few days motoring to visit around the other ruins scattered around the Sacred Valley. 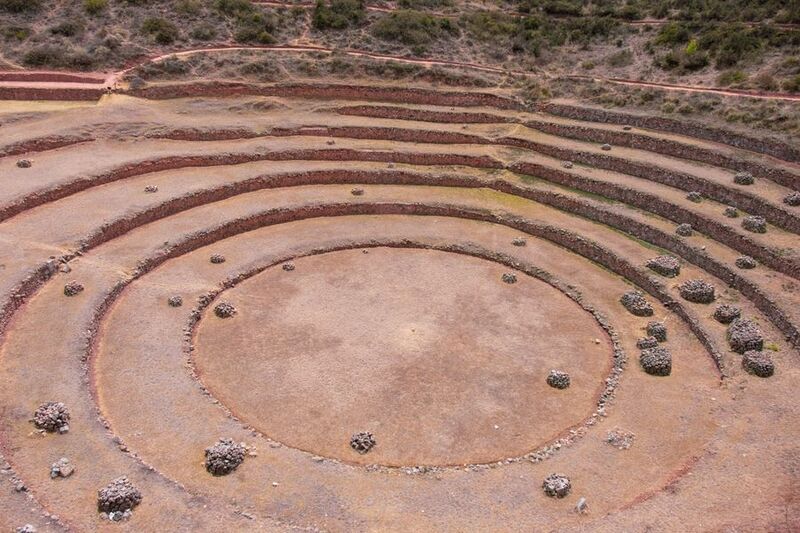 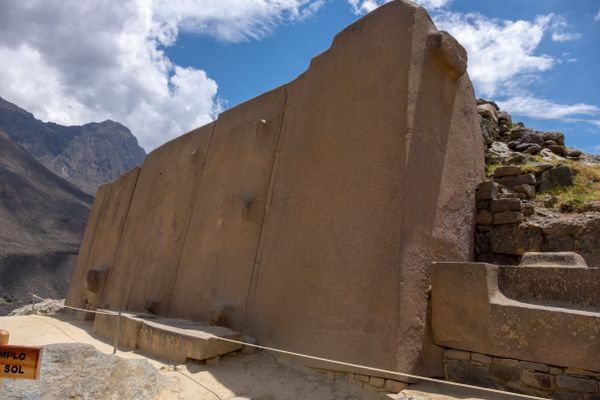 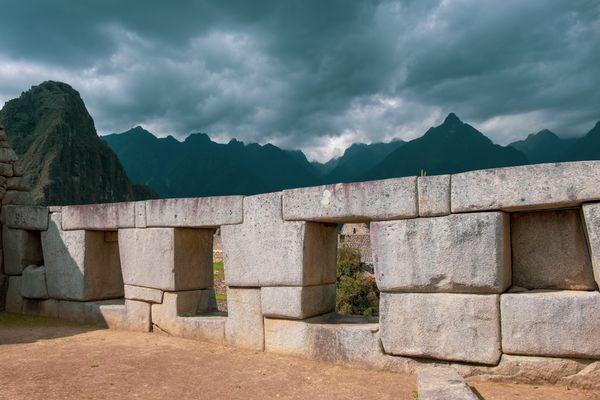 This site would not have been as interesting if we hadnâ€™t watched the BBCâ€™s documentary on the Sacred Valley, Decoded, which brought a lot of things into perspective. This site was used essentially as an advanced botany laboratory. 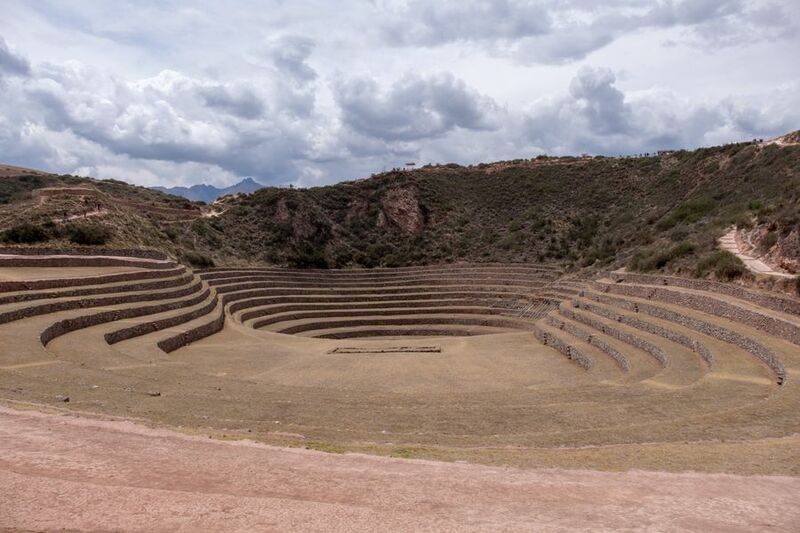 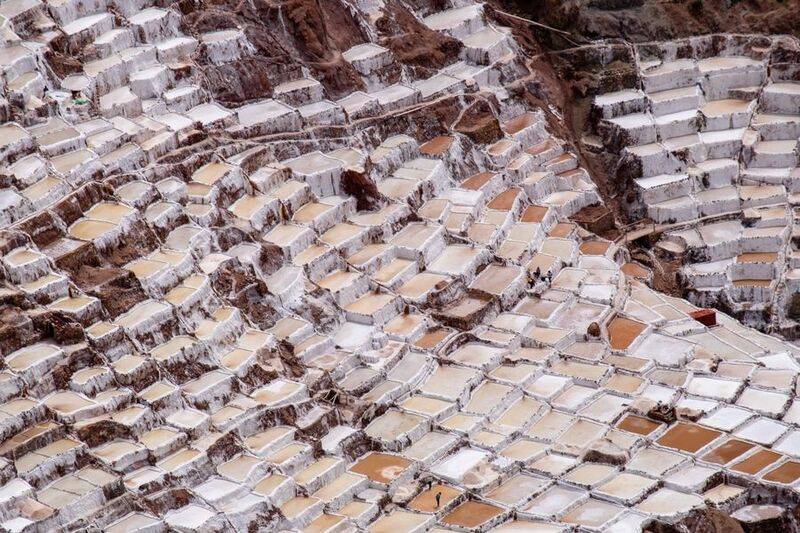 By terracing down instead of up, the center reaches a full 10ÂºC higher in temperature than the higher terraces. 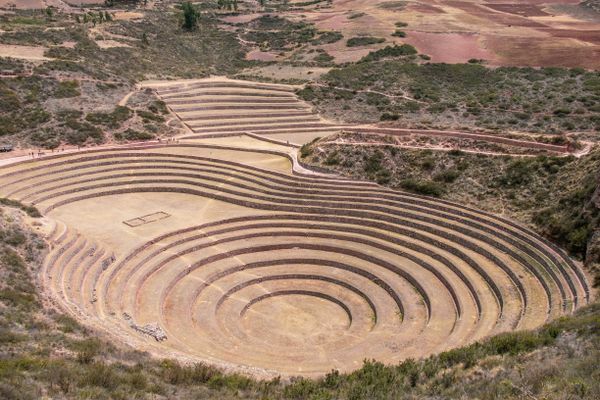 The Incas used this technology to experiment with various cultivars and breed plants that would succeed at different altitudes and their respective temperatures. A big part of why they succeeded in conquering such a large swath of South America was their promise of a consistent food supply. They didnâ€™t have a concept of money â€“ instead the currency was labor. 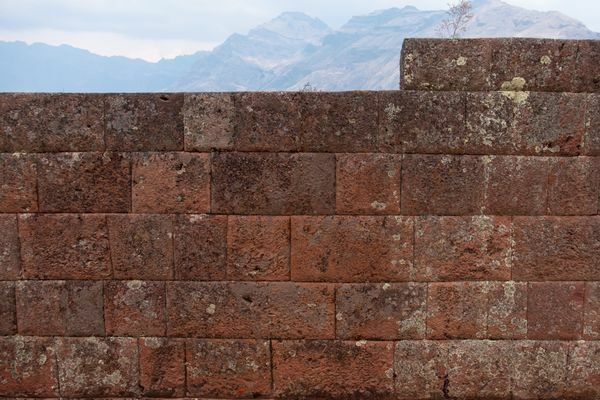 By promising to provide labor to the State, you were insured to have three square meals a day, a roof over your head, and safety from rivals â€“ even in times of drought and famine. 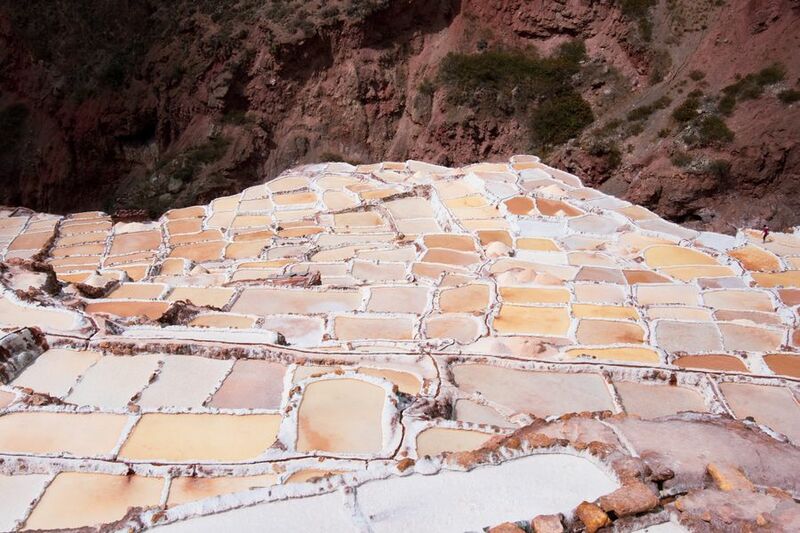 Not really a ruin, these salinas (natural salt springs) date back to before the Incas and are still being used to this day. 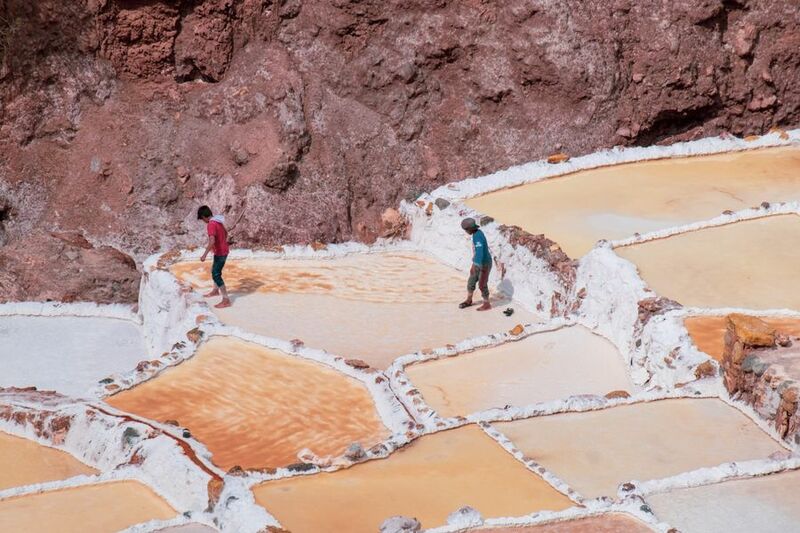 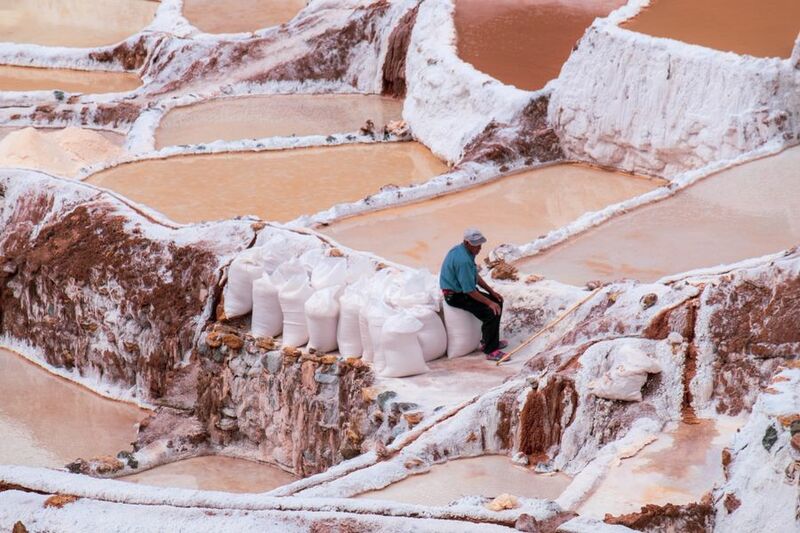 An important source of salt for the region, each pool of salt is managed by a family and is passed down through the generations. 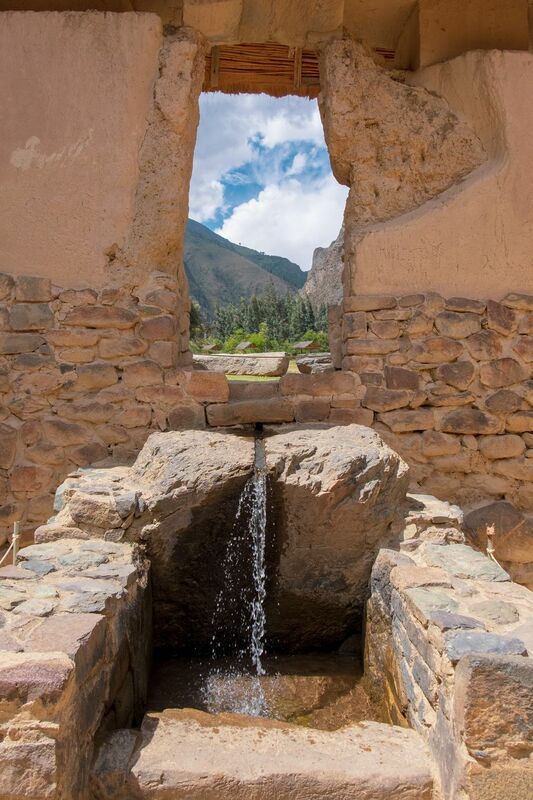 A natural spring brings the salty brine to the site, and through a series of sophisticated canals it is channeled through each pond. Evaporation reduces the brine to solid salt and it is then scraped off by each family and sold throughout the country. 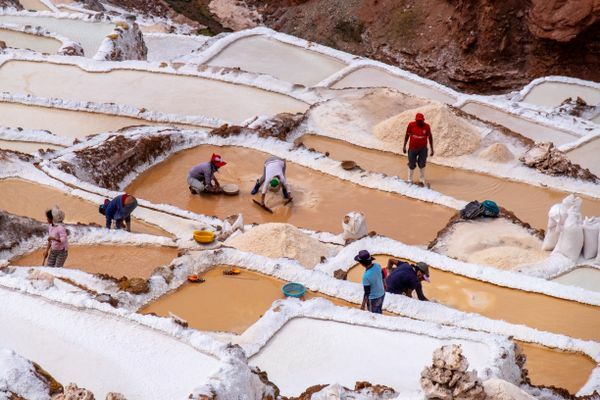 The brown ponds are contaminated with soil and are sold to the agricultural industry, the rest turns into wonderful table salt that can be purchased on site. 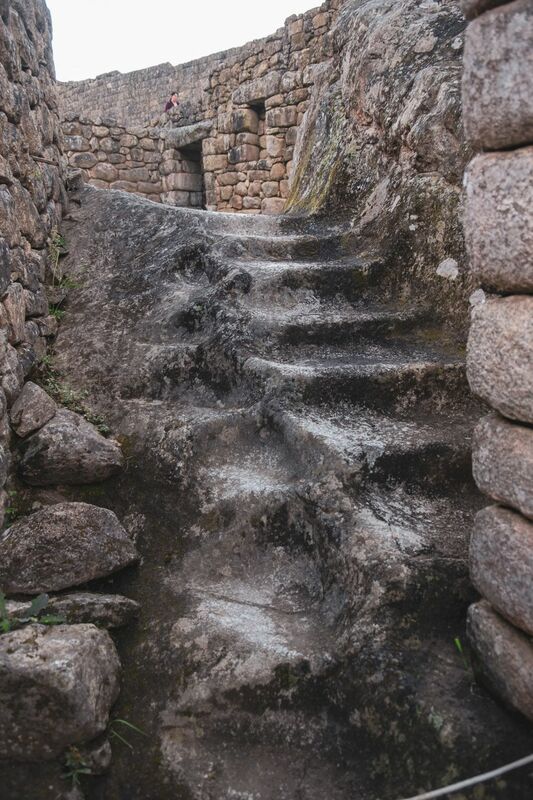 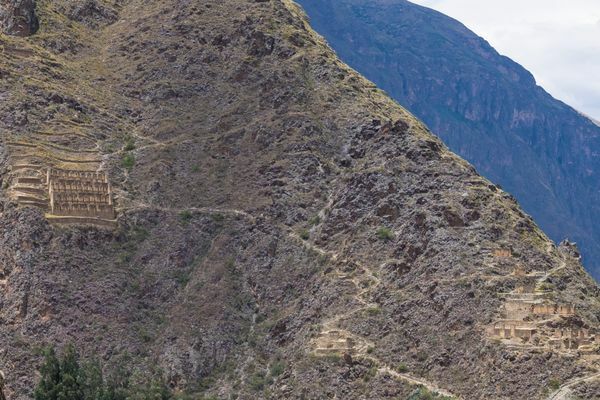 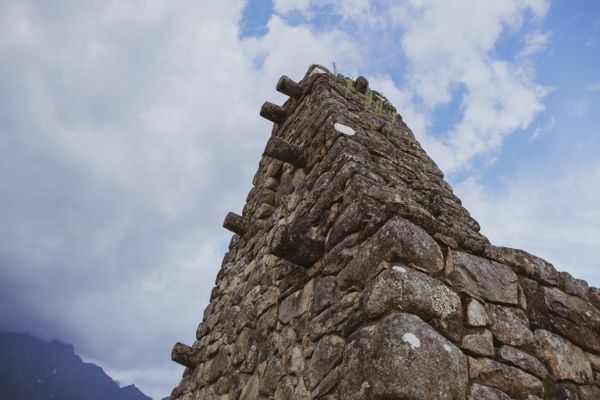 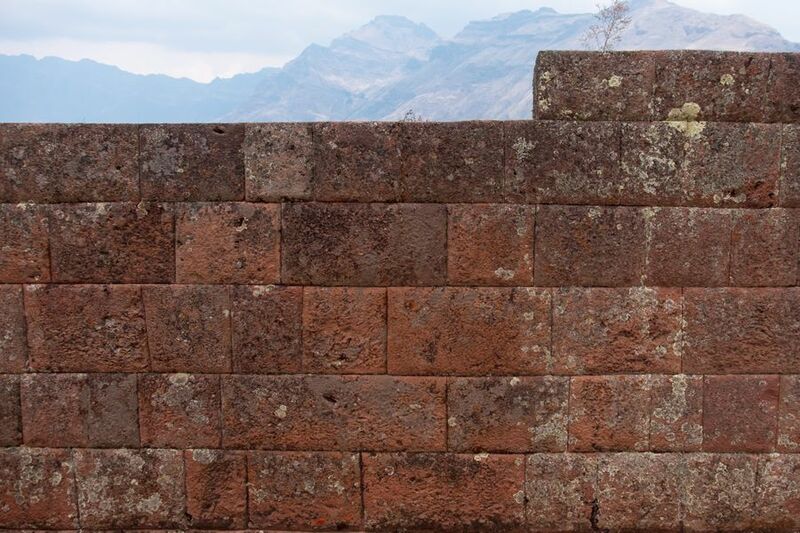 Pisac was our first introduction to the Inca ruins and is a sprawling complex consisting of a huge terraced mountain surrounded by several ceremonial and sacred sites, including many fountains. 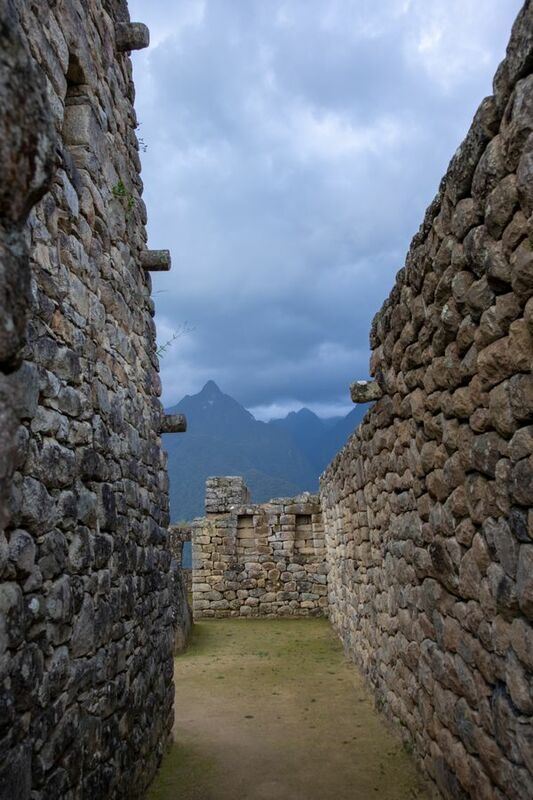 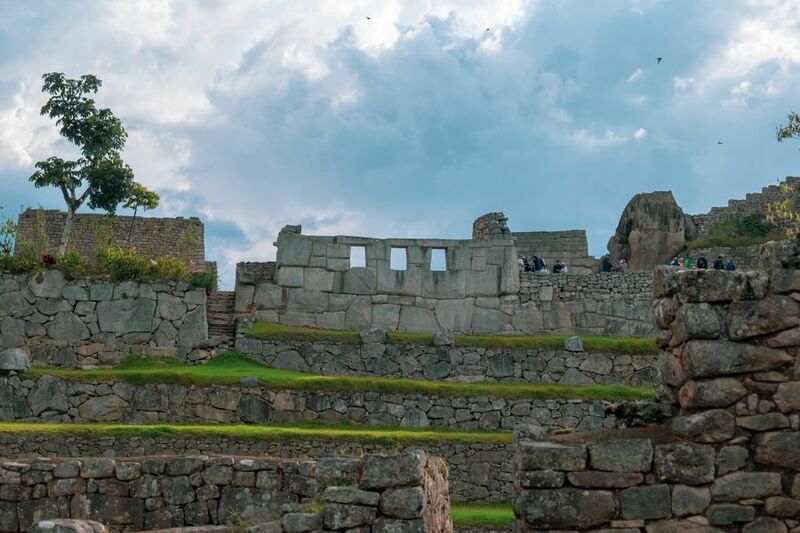 If anything, the Incas were master builders, who knew how to change the surrounding landscape to fit their needs. Not only did they terrace, they built sophisticated systems of drainage that have allowed these ruins to remarkably survive over the hundreds of years of heavy rain. 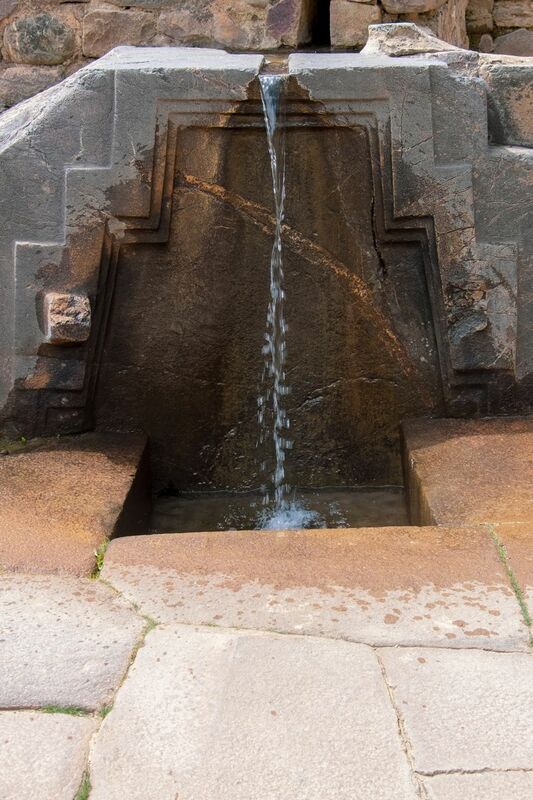 The evidence of this mastery is everywhere, with the fountains and waterways still producing water just as they were designed long ago.